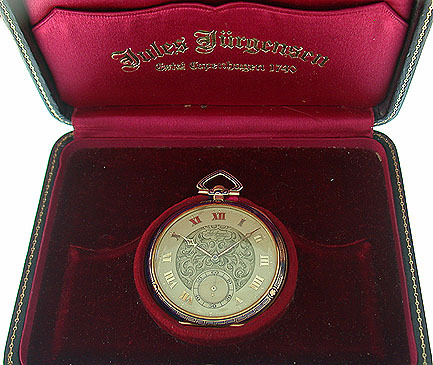 Fine and scarce Jules Jurgensen 18K gold and enamel Art Deco vintage pocket watch with original box circa 1920. 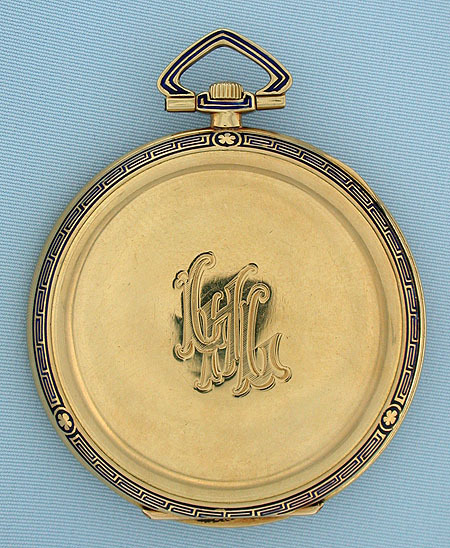 Gold dial with engraved center, applied numbers, and gold hands. 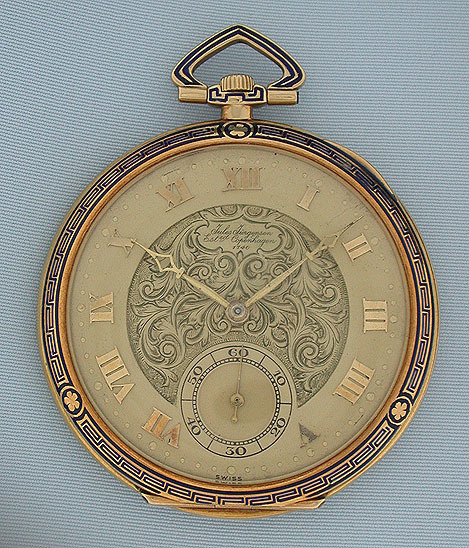 Plain polish case with dark blue enamel decoration on the bezels, pendant and bow. Nickel 19 jewel 10 adjustment (!) 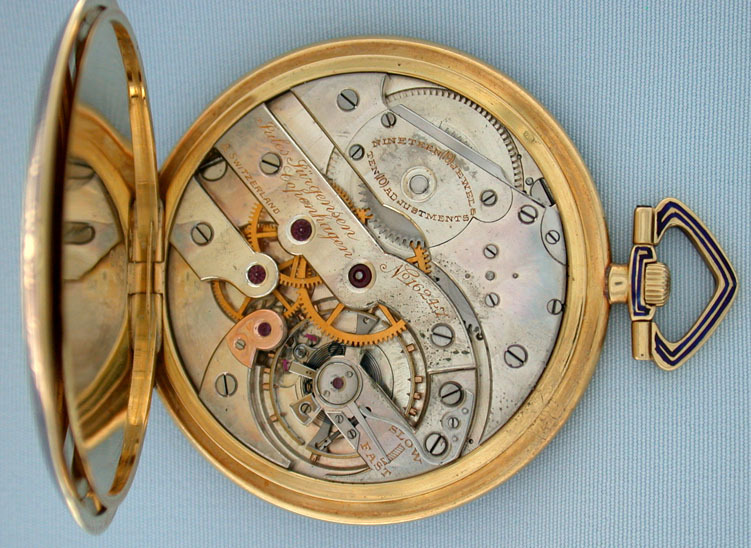 movement with gold escutcheon and some spotting. 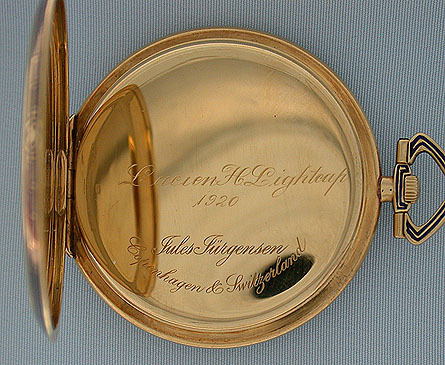 With original fitted leather box. Handsome.